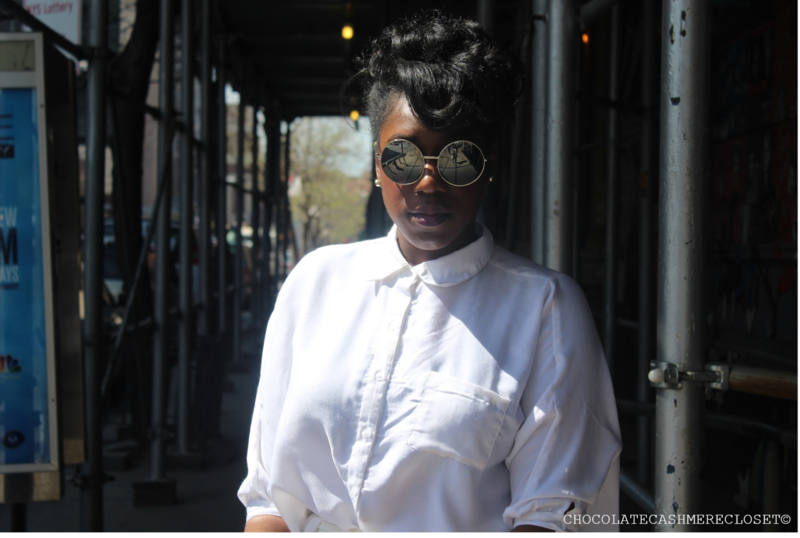 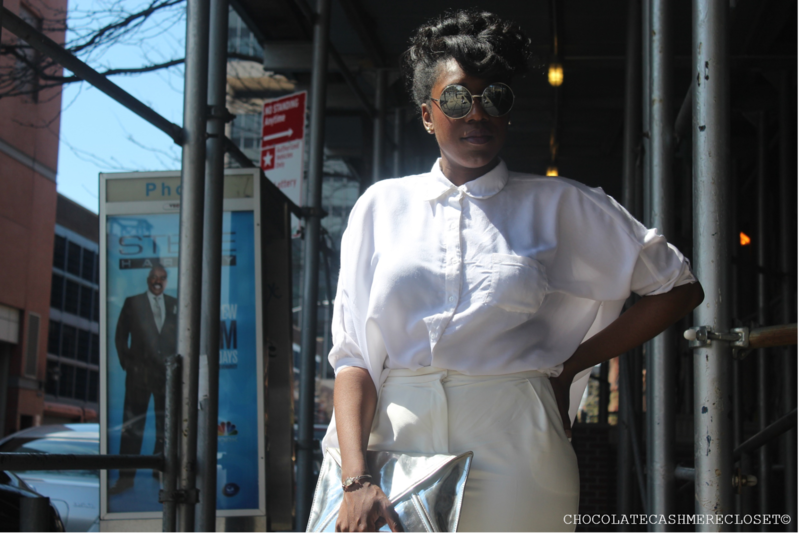 Today's New York fashionista come to you by way of this futuristic, 50's-inspired sleek retro look. 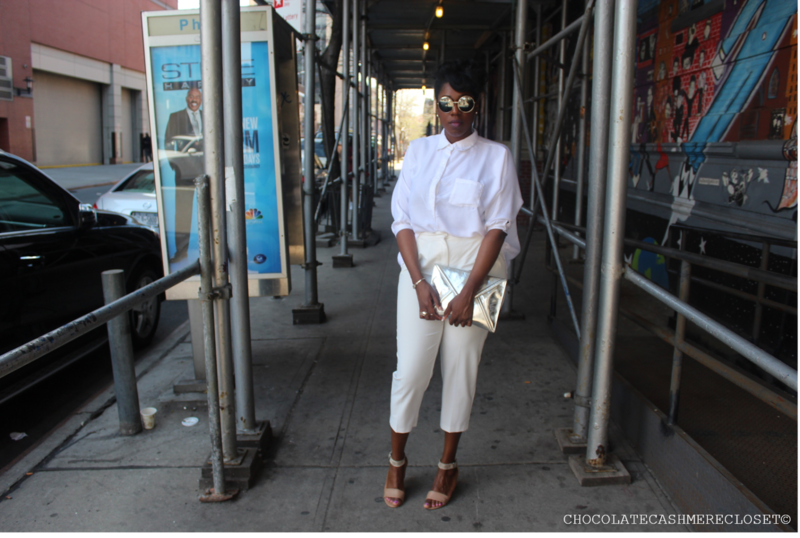 Try a look, like this classic all-white ensemble, for an elegant take on spring's emerging trend: staple whites. 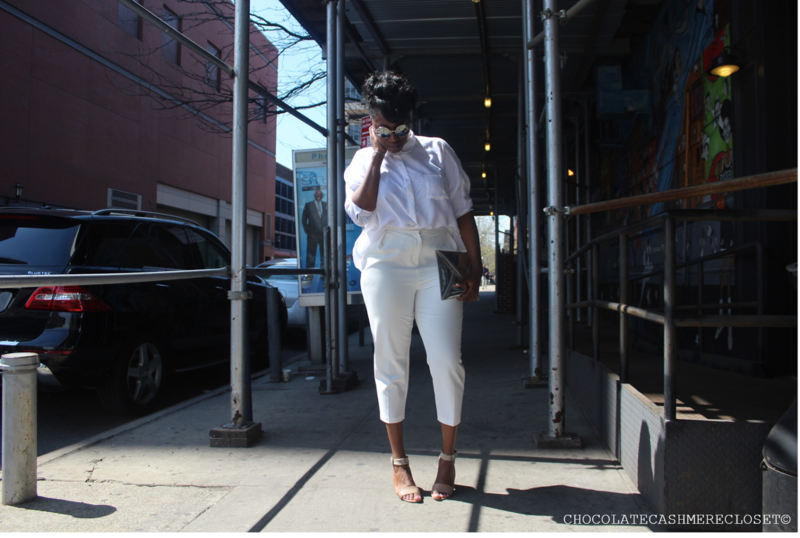 Add silver accents, seen here with retro sunglasses and pouch bag, for a subtle contrasting hue in the overall tone of your outfit and finish off your look with an another accent color: beige, seen here with high-waisted pants and ankle-strap heels.